Chronicling Ronnie’s legendary past while also following the final month before his latest spinal surgery – Ronnie reflects on his legendary bodybuilding career and looks ahead at what his future will hold. 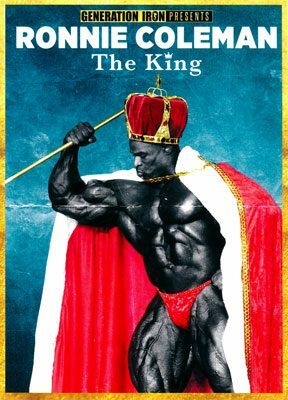 From the director of Generation Iron comes the first ever authorized biography of the greatest bodybuilder of all time, Ronnie Coleman. Chronicling Ronnie’s legendary past while also following the final month before his latest spinal surgery – Ronnie reflects on his legendary bodybuilding career and looks ahead at what his future will hold. A man with nonstop conviction, dedication to family, and remarkable willpower – witness the ultimate exploration of bodybuilding’s biggest legend yet. 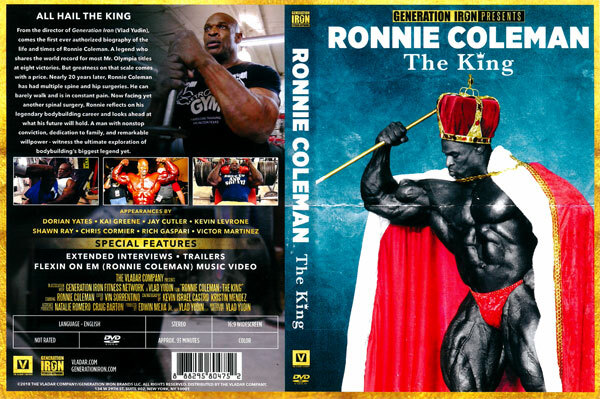 Featuring interviews from bodybuilding legends such as Kevin Levrone, Dorian Yates, Kai Greene, Shawn Ray, and many more – you can now own this piece of bodybuilding history on DVD. Ronnie Coleman did what seemed like the impossible and his achievements are yet to be replicated. In total he put on nearly 300 lbs of muscle while still maintaining a shredded and symmetrical physique. He shares the world record for the most Mr. Olympia titles, the Super Bowl of bodybuilding, at eight victories. There are also appearances from Chris Cormier, Victor Martinez and Rich Gaspari. Produced by The Vladar Company.